Let’s leave aside dated comparisons to leftwing parties in Europe urging stark choices between left and right in the hope that the right would discredit itself, and let’s just talk about America. This country has functioned best when there is a widely shared worldview about Constitutional government (e.g. separation of powers), equality (e.g. safety net for those at the bottom), and America’s role in the world (e.g. important, but not imperial). Think of America under Franklin Roosevelt, Dwight Eisenhower and John Kennedy, for instance. Much of our current woes – epitomized by the sheer craziness of the Republican Congress after 1994 and of George W. Bush’s two terms – is the result of the erosion of that consensus from the right, and the emergence of a frankly supra-Constitutional nationalism on the right. 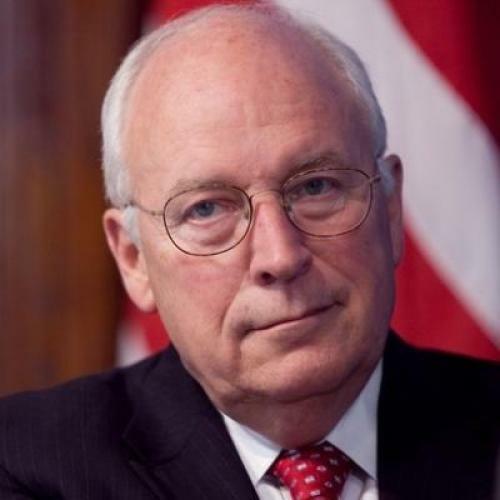 Cheney began his career as the rightwing of the Old Guard Republicanism of Gerald Ford, but he became sometime during the ‘90s a spear carrier for this new, dangerous right. It amazes me that someone who has written books about American history, and presumably knows something about the subject, would assume that stark choices between left and right bring about a plausible middle-ground. Politics doesn’t work like mathematics. Having Barry Goldwater on the ticket in 1964 didn't lead to a more sensible centrist foreign policy, and George Wallace's candidacy in 1968 or 1972 didn't encourage an affirmation of civil rights. Instead, stark choices embitter and skew and polarize our politics and give credibility to notions that can only bring disaster to the country. Let Cheney enjoy the pleasures of retirement, and let the country enjoy a respite from his dreams of unitary executive and a pre-emptive imperial power.